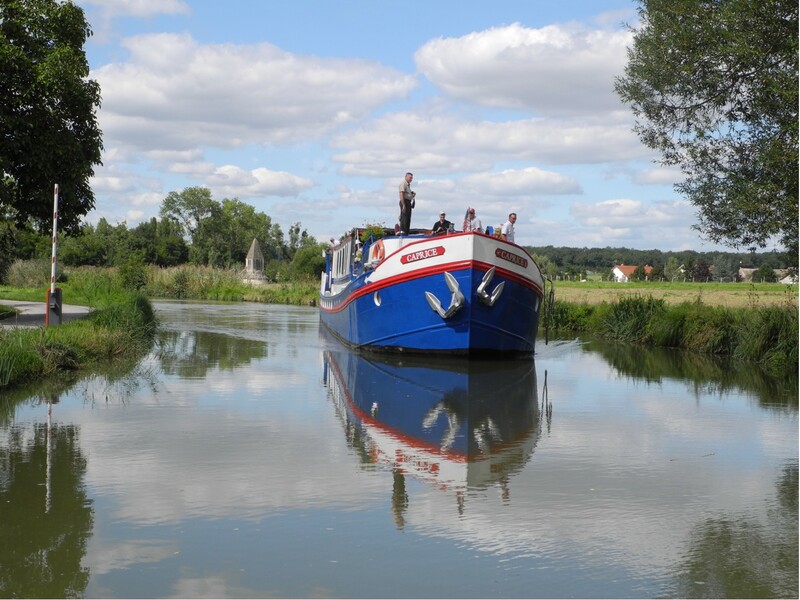 France Cruises offers travelers the opportunity to delight their senses with the sounds of classical, choral and folk music along a hotel barge cruise during the “Musical Encounters of Vezelay” festival in Burgundy. With five itineraries cruising along the Nivernais Canal, guests can experience the concert series, set for August 25-28, 2012 in the village of Vezelay and surrounding cities, featuring a cast of internationally acclaimed vocalists and artists from Europe performing a selection of religious music traditions from the Renaissance period to present day. Throughout the four-day event, guests will enjoy a slew of world-class performances from vocalists, symphony orchestras, choirs and soloists beneath Vezelay’s landmark, the 9th-century Basilica of St. Mary Magdalene as well as other nearby towns and villages of Burgundy. Among the featured performers are renowned German vocalist group Die Singphoniker, award-winning baroque and classically inspired pianist Jos van Immerseel and Arsys Bourgogne, a prominent choir from Vezelay known for their romantic and contemporary works under the visionary direction of Pierre Cao. This special program can be experienced on five hotel barge cruises; from the ultra-deluxe 7-passenger C’est La Vie, priced from $5,750 per person, to the budget-friendly 4-passenger Randle, priced under $2,435 per person. For more information about the cruises featuring the Musical Encounters of Vezelay festival, visit France Cruises. 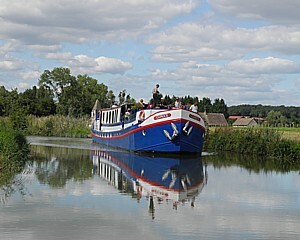 France Cruises, Inc. specializes in canal and river cruises in France. France Cruises’ fleet of over 40 luxury hotel barges and riverboats float along the narrow canals of France, providing an intimately unique way to discover the splendid and historic countryside. Along with superb opportunities for relaxation, the carefree elegance of each expedition combines the opportunity to enjoy France in a whole new way with gourmet dining, fine wines and unique sightseeing excursions to ancient villages, castles, cafes, markets and so much more. For more information please visit www.FranceCruises.com. Additionally, France Cruises offers a concierge service, which assists in acquiring car rentals, train tickets, hotel stays and more together with its new land tours and hotel packages division: www.FranceCountryTours.com. France Cruises is offering complimentary pre- and post-cruise Land Tours in the most popular French cities when customers purchase a cruise and two-night stay in a hotel of their choice. Available for any departure day, the full-day tours showcase the region’s most extraordinary highlights passengers would generally miss out on during their cruise. “Our carefully-crafted itineraries offer travelers a blend of authentic and diverse experiences ashore, and all of them present guests with an opportunity for enrichment and adventure,” said Jean-Francois Dabrowski, president of France Cruises. Guests can take advantage of France Cruises’ Hotel & Tour offer and choose from 29 exciting excursions in eight admired cities, such as walking through 11th-century medieval castles in Carcassonne, taking a wine-making lesson in Bordeaux and climbing up – and dining at – the Eiffel Tower in Paris. Further enhancing the France Cruises experience, the land tours may extend beyond the travelers cruising area. Guests can opt to journey along the scenic Canal du Midi in Southern France on a hotel barge cruise, and conclude their adventure in sunny Nice in the French Riviera. Additionally, guests have the option to choose their hotel, or select from the cruise company’s sample list of recommendations, which ranges from traditional boutique hotels to deluxe chateaux and historic country inns. Moreover, the special offer can be combined with most of France Cruises promotions and exclusive offers. Promotion is valid for new bookings only, and is subject to availability. A two-night minimum stay in the hotel is required for full-day excursions; however, a one-night stay may allow for a half-day excursion if available. Visit France Cruises’ Hotel & Tour promotion for more details. 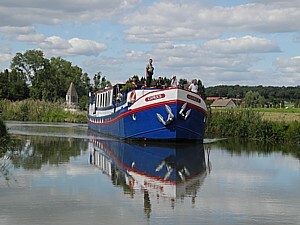 France Cruises, Inc. specializes in canal and river cruises in France. France Cruises’ fleet of over 40 luxury hotel barges and riverboats float along the narrow canals of France, providing an intimately unique way to discover the splendid and historic countryside. Along with superb opportunities for relaxation, the carefree elegance of each expedition combines the opportunity to enjoy France in a whole new way with gourmet dining, fine wines and unique sightseeing excursions to ancient villages, castles, cafes, markets and so much more. For more information visit www.FranceCruises.com. France Cruises offers a concierge service, which assists in acquiring car rentals, train tickets, hotel stays and more together with its new land tours and hotel packages division: www.FranceCountryTours.com. The Caprice, one of France Cruises' luxury hotel barges, floats up a canal in Burgundy © 2011 Karen Rubin/news-photos-features.com. France Cruises has just announced the release of its 2012 cruise schedule, giving travelers more access than ever before to experience cruise vacations along the most scenic canals and waterways of France. With the launch of the new season, France Cruises is offering an early booking special that enables travelers to receive up to two complimentary hotel nights in Paris, or save up to $500 on eligible 2012 departures. Valid until November 30, 2011, travelers who book and pay in full have the choice to save $500 per cabin, or enjoy a two-night stay at a boutique hotel in Paris. 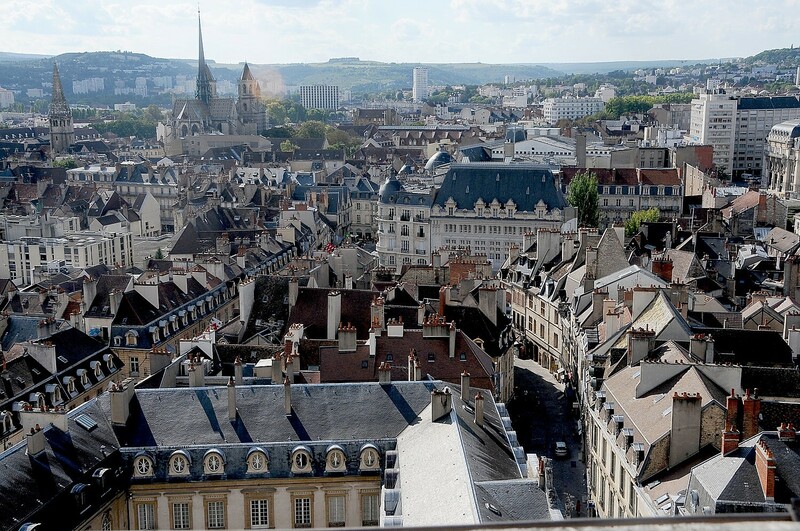 Guests have the option to select from five charming hotels, including the 3-star Observatoire Luxembourg and the popular New Atlantic Hotel. Those who book and place a deposit can save $250 or receive a one-night stay. Furthermore, this France Cruises exclusive deal may be combined with any other special discounts offered by cruise operators. From ultra-luxury cruises, such as a Southern France odyssey aboard the 6-passenger “yacht barge” Esperance priced at $7,750 per person, to more budget-friendly cruises like the one offered in the wine country of Burgundy with the 21-passenger Caprice, priced at just under $3,000 per person for the week long sailing, the 2012 France Cruises’ portfolio of over 54 cruise itineraries are suited to fit every age, taste and budget. To learn more about the Free Hotel Package in Paris offer, and preview the newly-improved website, which features sample menus, video and photo gallery and day-by-day itineraries, visit www.francecruises.com.